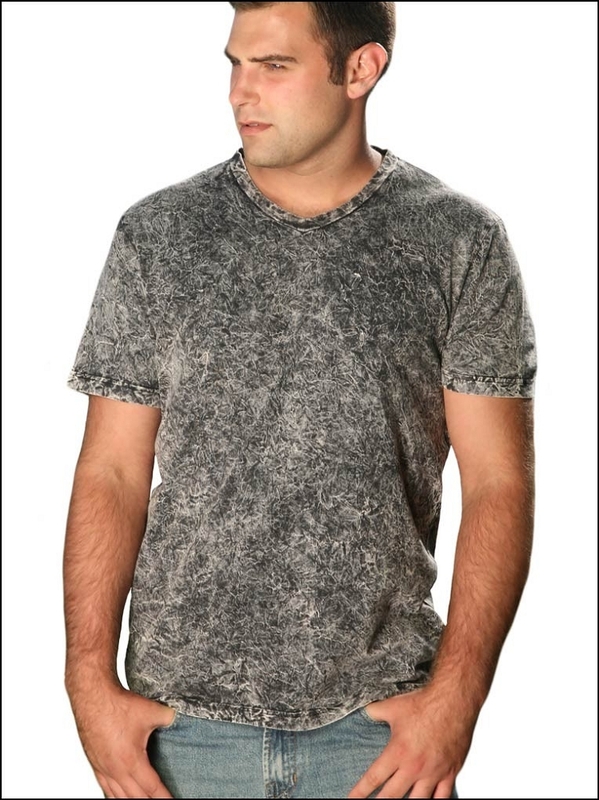 You’ll always be unique and never like anyone else in this mineral wash v neck tee. It gives you an edgy style that can be worn during the day for a causal look or worn for a night on the town. Lightweight jersey 32/1, 100% cotton ring spun combed. 4.0 oz/sq yard. *Due to the unique wash & special treatment, expect differences in shading, color and pattern for each tee.